With all the rain and storms we have been having recently, i thought i would do a quick post on the importance of checking the weather. We all know that in Queensland the weather can change quickly, it can be beautiful one minute and then all hell is breaking loose the next! For this reason you need to check forecasts before you head out, make sure your boat is safe and probably equipped just in case, and remember the golden rule ‘If in doubt head for home’. Always check and understand the weather before and during boating. If it looks dicey, don’t go out—and if it starts to turn, head straight for shelter. Learn to understand and read weather patterns. Know your boat’s limits, and how the wind and waves will affect it. 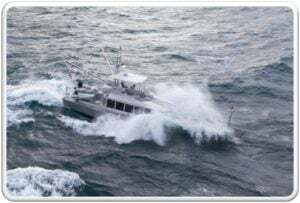 The Bureau of Meteorology issues regular forecasts for small boats operating in coastal waters including expected wind direction and strength, the state of the sea and swell, visibility, and changes expected during the forecast period. VHF marine radio – Weather information is available on request through VHF Channel 67 at several locations. Check the Bureau of Meteorology’s (BOM) website. MF/HF Marine Radio – Schedules and frequencies are advised on the BOM website. Hey its old fashion but it still works! Maritime Weather Service provides weather information from the Bureau of Meteorology at the cost of a local phone call. Conditions can worsen rapidly, so if in doubt start to head for home. if you are stuck in severe weather, Personal safety is the number one priority. Stay safe out there, and enjoy the Queensland summer!